Most of us are familiar with the traditional raisin oatmeal cookies, and these are similar with a twist. 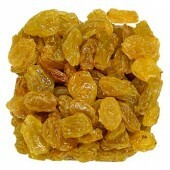 Although you could make these cookies using raisins, our recipe calls for golden raisins. 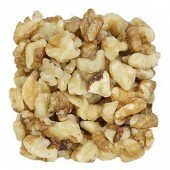 You could also consider adding a ½ cup of chopped walnuts or pecans to bring in a nice nut crunch. 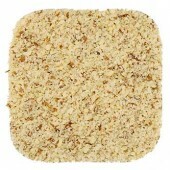 In a medium bowl mix oats, flours, baking soda, salt, cinnamon, and sugar. In a separate bowl mix oil, syrup, Eatnuts.com Homemade Almond Milk or almond milk, and vanilla. Add wet ingredients to dry ingredients and mix into a dough. 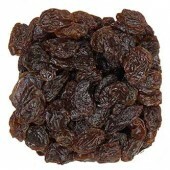 Stir in raisins and nuts if desired. Roll into balls using about 2 tablespoons of dough, then place on baking sheets 2” apart. Bake for 10-15 minutes. Remove from the oven and allow the cookies to cool before serving. 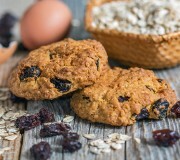 The chunky oats are so deliciously sweet with the burst of raisins in this recipe for Raisin Oatmeal Cookies. 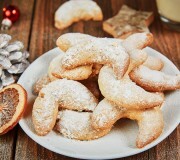 These cookies are soft and moist and pair perfectly with your favorite unsweetened hot beverage. 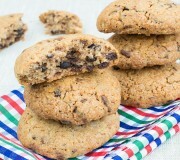 Old Fashioned Oatmeal Cookies are one of those aromas that can bring back childhood memories. 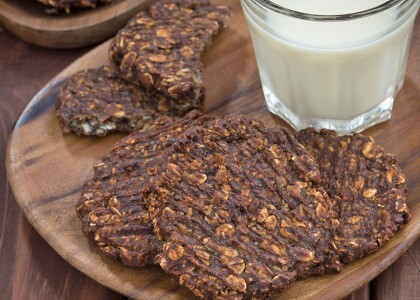 This old fashioned oats cookie recipe is one that calls for some healthier choices like almond flour. Although you can make this recipe with almond flour and coconut flour, the almond flour flavor pairs much better with the oats and other ingredients. This recipe is also great when seeking almond flour dessert recipes since the conversion of regular flour to almond flour doesn’t change. Can you believe it is possible to make delicious desserts like Gluten Free Chocolate Chip Cookies that are gluten-free and still healthy? 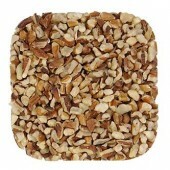 Most commercially produced gluten-free treats include processed ingredients that are just not healthy for our bodies. You will learn from this recipe that you can stick with your gluten-free eating plan and still enjoy sweet treats with recipes that you make at home.